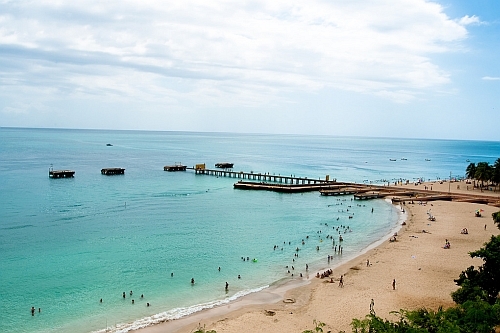 United Airlines is still showing winter 2019 flights from Toronto to San Juan or Aguadilla, Puerto Rico for $314 CAD roundtrip including taxes. The flights have 1 stop each way, in Newark or Chicago, for 1-2 hours. 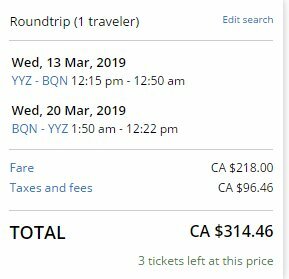 You can also turn these into 3-in-1 trips and spend time in Puerto Rico, Chicago, *and* New York City, for the same price ($314 CAD roundtrip). - look for the dates that are $315 roundtrip. You can also turn these into 3-in-1 trips and visit Puerto Rico, Chicago, *and* New York, for the same price ($314 CAD roundtrip). The flights are all nonstop flights for the entire journey.